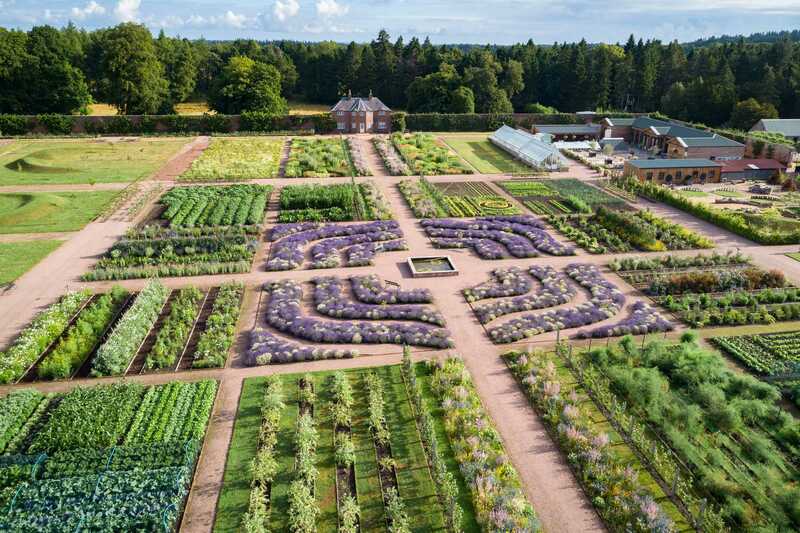 By Car - The main entrance to Gordon Castle Walled Garden is situated at the western end of the village of Fochabers on the A96, approximately nine miles east of Elgin and twelve miles west of Keith. Coming from Elgin, once you pass Baxters take the next right and the roundabout then first left through the castle arches. From Keith, take the first exit at the roundabout into Fochabers and follow through the village until you see the arches on your right hand side. From Perth, take the north bound A9 to Aviemore, then follow A95, A941 and A96 to Fochabers. *Top tip - being in the Scottish Highlands postcodes tend to cover a large radius so please don't rely on your Satnav to get you here! If you get lost or aren't sure don't worry, just call us on 01343 612317 and we will do our best to help. Once in the castle grounds follow the signs for Gordon Castle Walled Garden unless you are a castle or cottage guest in which case follow your checking-in instructions that have been sent to you. By Bus - The number 10 Stagecoach bus runs from Aberdeen to Inverness and stops in several places in Fochabers. If you leave the bus at the central stop you have a short 15 minute walk to the walled garden. The easiest route is to walk to the east of the village and through the castle archway following the signs. The number 35 bus also going into Fochabers and then carries onto Buckie. For more details visit stagecoach.com. By plane - We are halfway between both Inverness and Aberdeen airports - roughly one hour drive - and there is a direct train available from Aberdeen in Dyce and a bus available from Inverness.